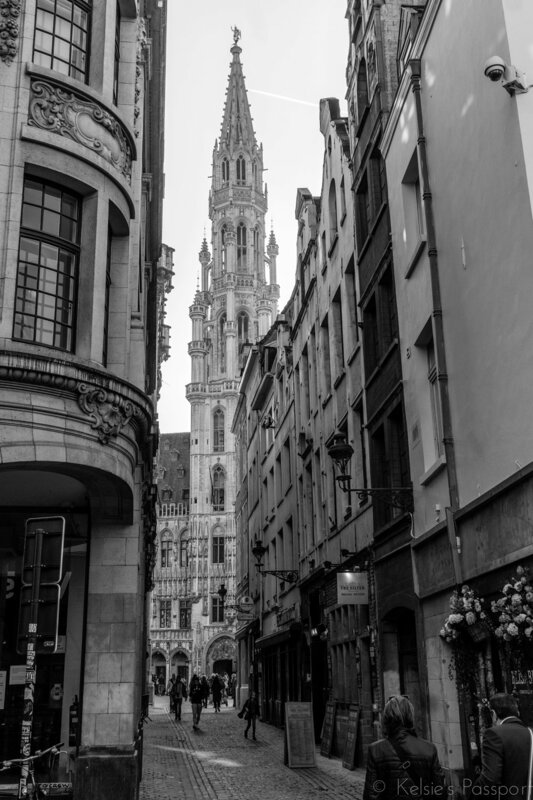 My brother and I spent almost exactly 24 hours in Brussels. 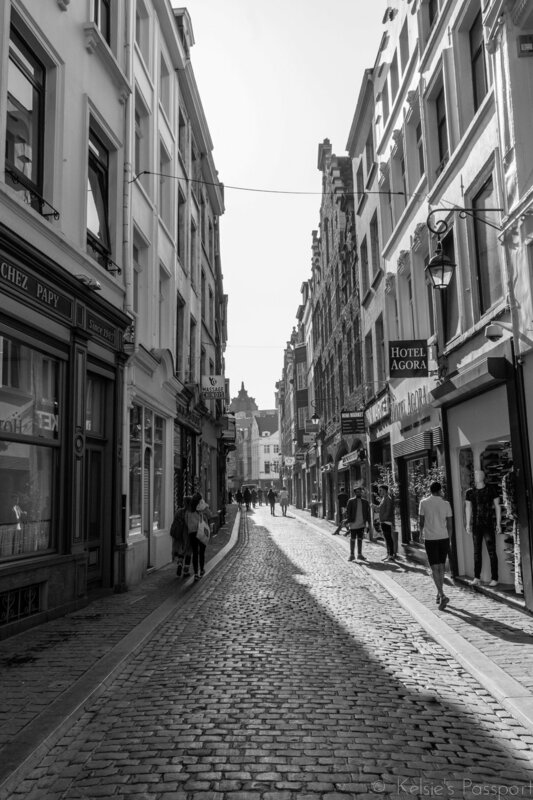 I was trying to think of all the things we could do in only 24 hours in one of Europes major cities, and this is literally all that came to mind: beer, chocolate, waffles and frites. That's it. That'll all I wanted to do. Sightseeing? I'll sightsee the breweries so I can drink the beer. Check out the local restaurants? Sure, if they serve frites. I mean aren't those the 4 things that Belgium is famous for anyway? 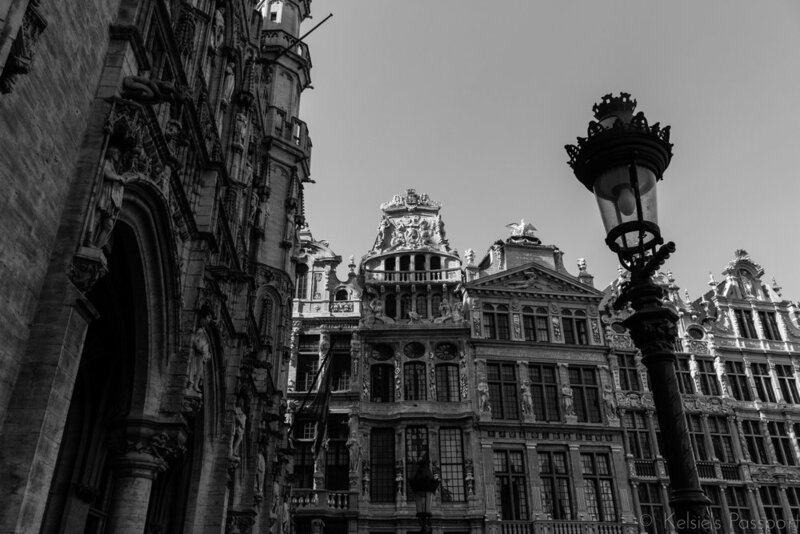 Here is a basic itinerary of our 24-hours in Brussels. 12:00 PM - arrived by train, found a restaurant, ate frites and drank beer. 2:00 PM - checked into our hostel. 3:00 PM - wandered to the centre of town and drank beer and ate frites. 6:00 PM - ate more frites and drank more beer. 7:00 PM - ate chocolate. And drank beer. 9:30 AM - checked out of our hostel. 10:00 AM - ate waffles and chocolate. 10:30 AM - bought chocolate to go. 12:00 PM - boarded the train for Dusseldorf. Ate chocolates on the train. We did end up doing a bit of sightseeing, mostly because you need something to look at while you're walking around eating street waffles. Here's some photos! Now I know what you're thinking..."there's no photos of beer, chocolate, waffles or frites..."
True. That's because we consumed them before we could get a photo in. You understand. Just take my word for it that it was all very delicious and pretty. Disclaimer: Kalen has a tapeworm named Larry so he gets really hungry and needs a bit more protein in his system, so he cheated and ate mussels for supper. But I stuck to the diet (with a few glasses of water thrown in because you need that to live, and also coffee because I'm an addict). 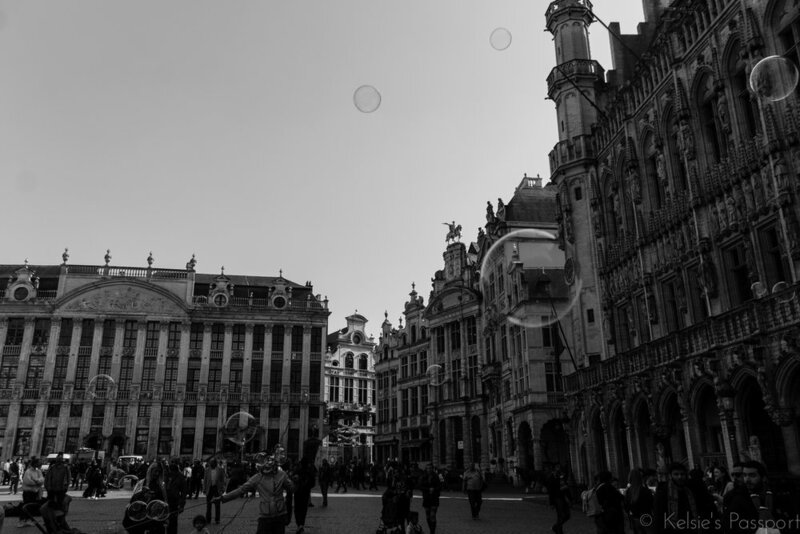 If you ever find yourself in Brussels for a mere 24 hours, I suggest you try this challenge! Side note: can you even call it a challenge? If I was sentenced to only partake in these 4 things for the rest of my life, I wouldn't be too bummed about it.